DJerock Productions has many different kinds of lighting available to make your event POP! Take a look below to learn more about what we have to offer! Music Inc. Editor’s Choice Award Winner, the CHAUVET DJ GigBAR IRC combines 4 essential lighting fixtures mounted onto a single control bar. With this GigBAR DJerock Productions can turn anywhere into a Dance Party and take your event to the Next Level! SlimPAR 56 is an LED wash light in a sleek black housing. Powered by 108 red, green and blue LEDs, it blends into any décor with ease. This light is great for Uplighting, Color Washes, Accent Lighting, and much more! 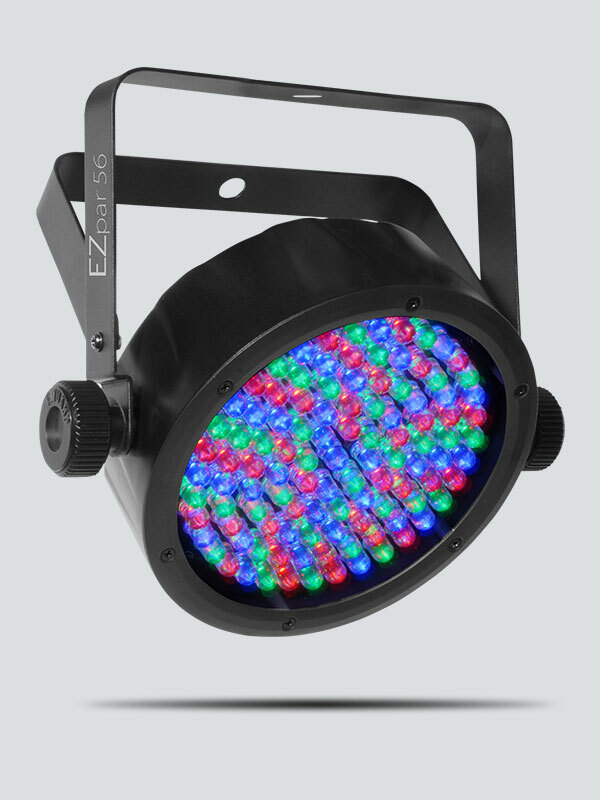 The Chauvet EZpar 56 is a battery-powered wash light powered by 108 red, green and blue LEDs. With 7 preset colors available and many possible variations this light will help to set the mood for any event! The LED Shadow is a blacklight panel wash that delivers stunning blacklight effects. Built-in auto programs allow the LEDs to flash and strobe in patterns. 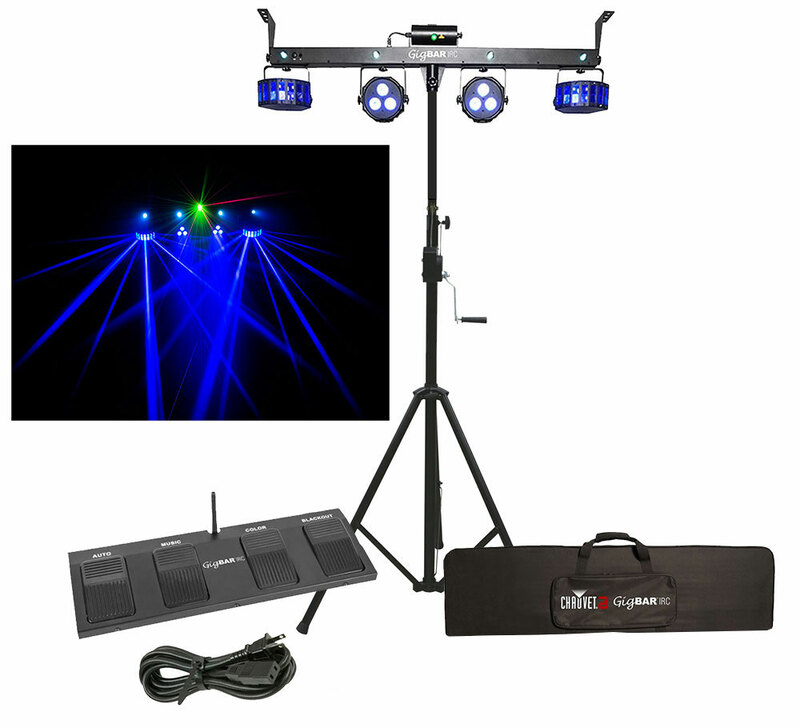 This light is used as part of our Black Light Package and is guaranteed to make your next event a Glowing Success. Interested in renting some lighting?